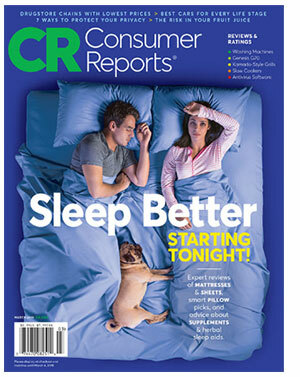 Independent pharmacies have once again been highly rated by Consumer Reports. "Personalized care ... seems to be what people value in a drugstore – and where independent pharmacies often seem to excel," writes author Lisa Gill in an article in the publication's March 2019 issue. "Mom-and-pop stores earned high marks on such measures as courtesy, helpfulness, and speed of checkout and filling prescriptions, as well as pharmacists' knowledge and accuracy." The article spotlights three NCPA members for the innovative services they offer and their ability to compete, including Hashim Zaibak, owner of Hayat Pharmacy in Milwaukee and NCPA fifth vice president; Chris Antypas, owner of Asti's South Hills Pharmacy in Pittsburgh; and Ben McNabb, owner of Love Oak Pharmacy in Eastland, Texas. "I couldn't be prouder of this recognition of the quality service community pharmacies are providing patients across America," said NCPA CEO Douglas Hoey. "Pharmacy owners shouldn't take for granted that patients know about a pharmacy's core services," Hoey added. "Don't forget to market your same-day in-person home delivery, adherence packaging, comprehensive medication review, immunizations, even the counseling you provide patients in choosing a Part D plan. Patients don't utilize services they don't know about."